Under Panel: Give your hair some dimension without the all over color or highlights by coloring the under panel. This technique adds dimension without darkening the overall color of your hair. Make your style look more edgy by adding your favorite color. Highlights: Give your hair some dimension or blend out that little bit of grey without the commitment of having your new growth touched up. Highlights will also give you a more natural look as it grows out. Partial Highlights: With a small change to your hairstyle, partial highlights include highlighting the top of the head with a few on the side, it adds subtle dimension and makes for a great new look without the drastic change. 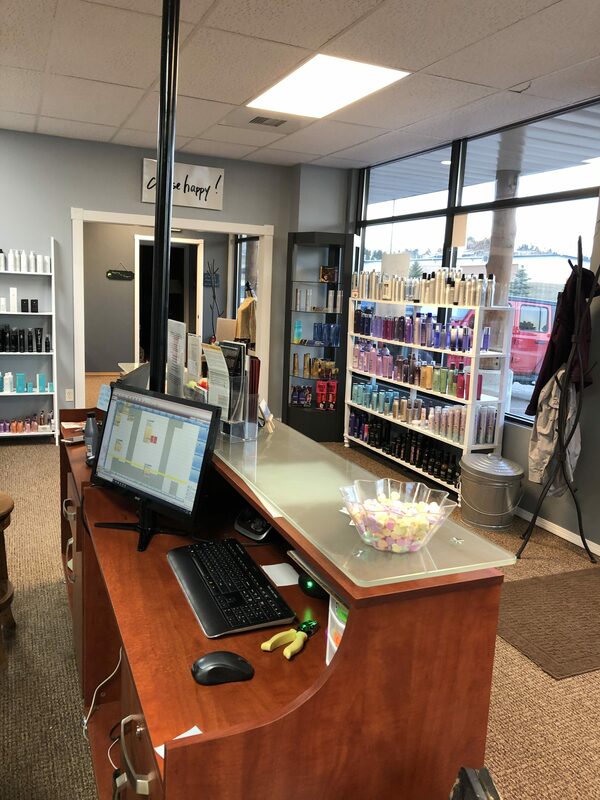 Balayage: A freehand technique that allows for a sun-kissed natural looking hair color, giving you a softer, less noticeable regrowth line. It requires very little maintenance as it grows out more naturally. Ombre: This technique has a gradual fade from a dark color at the new growth, to a lighter color towards the ends of the hair. This trend has also expanded to fading from the natural color at the new growth to a more fun pop of color on the ends. Mask Treatment: This treatment is done at the sink with a massage involved and sometimes put under dryer. What is the Ultimate Treatment? Is a Lanza product that is a 6 step system to repair and moisturize the hair. Best for someone that uses heat daily, colors hair a lot, spends time in the sun or has dry, fragile hair. What is the Platinum Treatment?The Platinum treatments is using the Lanza treatment plus a steam iron oil treatment. What is a Blowout? A shampoo conditioning treatment with a round brush blow out finish. What kind of braids do you do? French braids, fishtail, waterfall and many more! 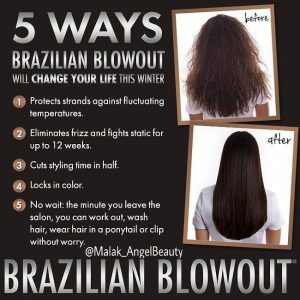 What is a Brazilian Blowout? 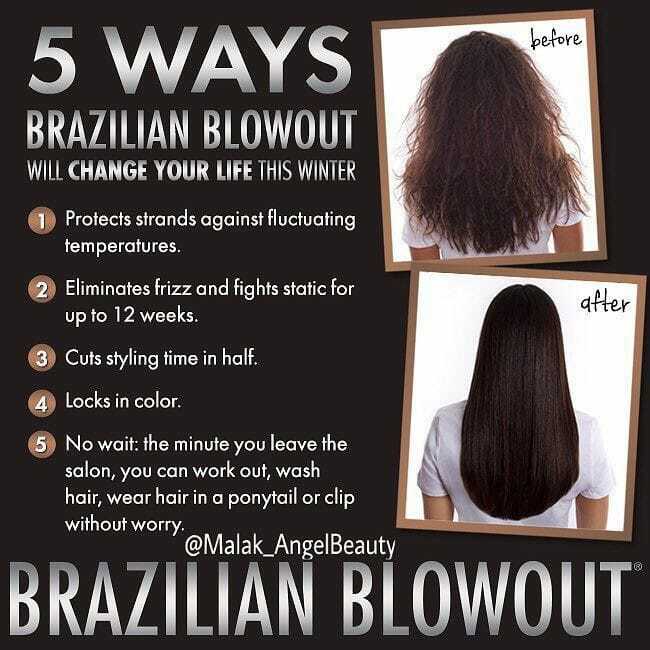 Brazilian Blowout is a professional smoothing treatment, and are the most innovative and effective in the world. 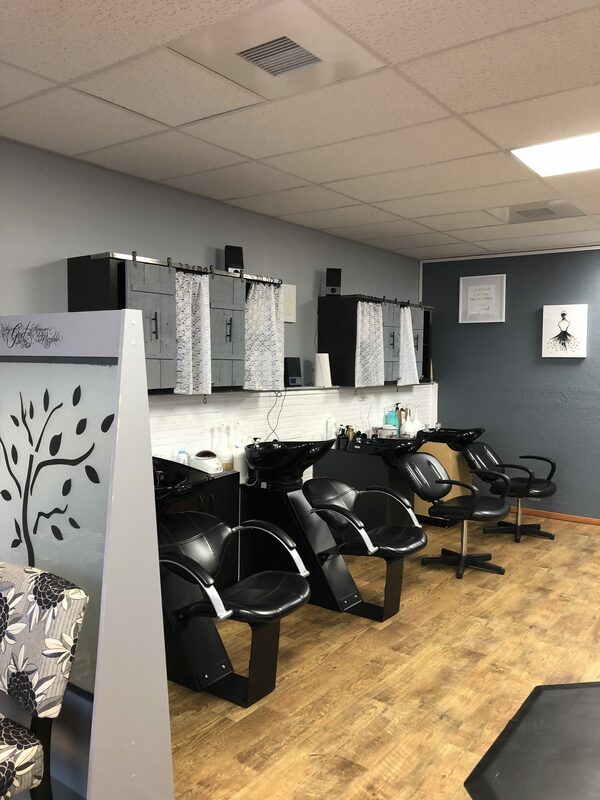 Through the use of breakthrough bonding technologies, these customizable smoothng treatments actually improve the condition of the hair by creating a protective protein layer around the hair shaft to eliminate frizz and smooth the cuticle. How long do eyelash extensions take to get done? The First full set takes approximately 1.5-2hours. Fills typically take about 45 minutes to 1 hour. The eyelash extensions last 2-4 weeks depending on how well they are cared for. They shed just like the natural lash does. Do Eyelash Extensions hurt? Not at all, this is one of the most frequently asked questions and rest assured, this is a very relaxing 2 hours. Classic Lashes: A method where 1 lash is glued to 1 natural lash. This method is also known as 1 to 1 or 1:1. Classic lashes are perfect for clients who already have a lot of lashes, but want to add more length. Classic lashes look more natural. Volume lashes: When multiple lashes are applied to one single natural eyelash individually isolating one natural eyelash at a time. Using very thin lashes. If two eyelash extensions are applied to one natural lash it’s described as 2D, if three eyelash extensions are applied to one natural eyelash then it’s described as 3D etc. This method is also known as Russian volume. The lash extensions used in this mothd ar significantly thinner (usually a .07 diameter lash extension is used) than the lash extensions used for the Classic Lash Method. Volume lashes are lighter, fluffier and give the client a fuller look. Volume lashes are perfect for clients who don’t have a lot of lashes, have sparse lashes, bald spots or just wnt a more dramatic look without having to use a thicker lash. Schedule your appointment with our eyelash technician, Chassie.